Not only has Beck released a surprise new single, but Pharrell has helped create it: you know the result will be interesting. So what’s ‘Saw Lightening’ like? We have Beck in his most upbeat, floor ready mode, and Pharrell slides in with quality beats that hopefully won’t cause any lawsuits if this is a hit. It’s Delta Blues for a club situation. 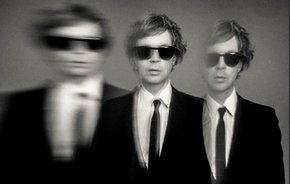 Saw Lightning is a precursor to a new album (which we think will be Beck’s fourteenth) called Hyperspace, so perhaps the whole album is for fast moving dance action. Also, you may remember Beck wanted to work with Kanye… could Pharrell put the two in touch?